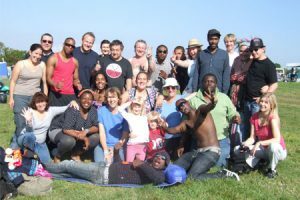 YMCA St Paul’s Group is an inclusive Christian association, transforming communities so that all people can belong, contribute and flourish. The Chaplaincy service at YMCA St Paul’s Group puts this vision into practice. Our Chaplains and the Chaplaincy volunteers are available for a chat and offer support to everyone who uses our services, be it one-to-one or through one of the Chaplaincy programmes. Although a Christian organisation, our Chaplaincy services are available to people of all faiths or no faith. Our most important role is simply being there for all people who use our facilities; whether old or young, male or female, poorly or well, popping into a health & Wellbeing or staying in one of our hostels, the Chaplaincy team are happy to be there. Alongside Housing Support Workers, the Chaplaincy team provide additional pastoral and spiritual care. 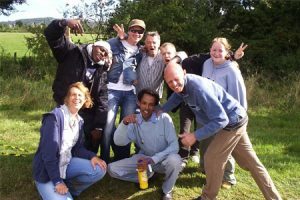 The team runs different programmes and activities for residents including, prayers, discussion groups and retreats. “I had a wonderful time; it worked wonders for me”. “It gave me a chance to reflect on where I am in my life’s journey, where I want to go and what I need to do to get there”. “I have learnt more about me. I have also forgiven someone for something I never thought I would”. “I had a lot of issues regarding my past and I feel being at the retreat has helped me to put these issues to rest”. At YMCA Surbiton, YMCA Wimbledon and YMCA South Ealing we have chapels open every day for prayer and quiet space. We run weekly prayer sessions and also prayer and Christian worship events around Christmas and Easter, and other significant times throughout the year. Greenbelt is a Christian music and arts festival which we attend joining with many other YMCAs to serve the young people who attend the festival. Residents also come along as volunteers to help. The Chaplaincy team could not operate without the chaplaincy volunteers; a group made up of members of local churches and the local community. They help out in a variety of ways around the projects, assisting at events and supporting residents and staff, particularly offering a listening ear. YMCA St Paul’s Group is an ecumenical organisation and works with all sectors of the Christian faith. As well as being part of local interfaith forums serving those of all faiths in the community .